It has not been officially confirmed, but it looks like congratulations are in order for Porsha Williams and her man Dennis McKinley. Not only are they expected their first child together, but it seems like the two of them are engaged. Us Weekly is reporting that the Real Housewives of Atlanta star is engaged based on two of her recent Instagram posts. She did not say that she was engaged in any of the captions, but there is a big, diamond ring on her hand in both photos. Porsha posted a solo shot with the caption “Feed off of good energy or bad energy will feed on you!” Potomac Housewife Monique Samuels commented on that post with “Congrats on your engagement.” As of this moment, Porsha has not responded to that comment, but maybe Monique is in the know as a fellow Real Housewife. 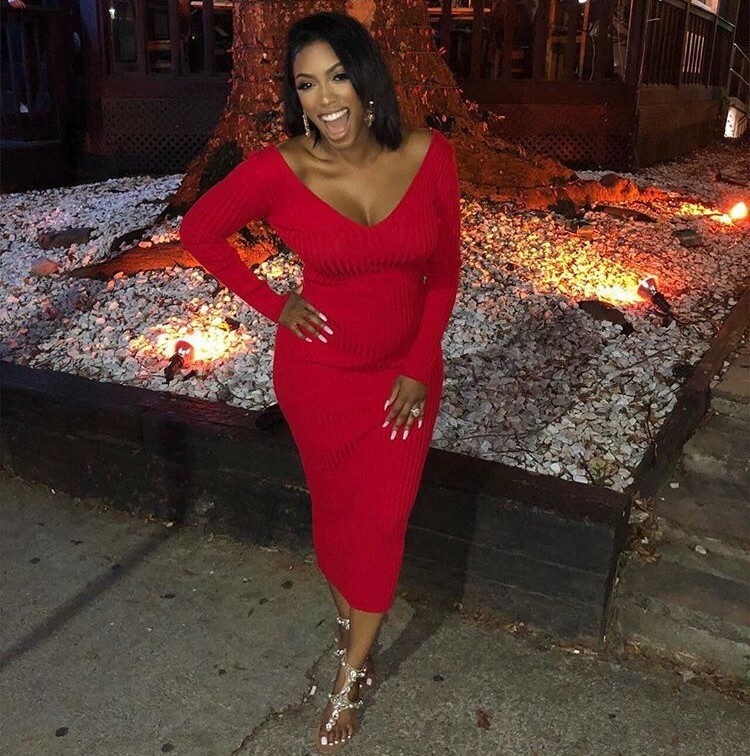 Porsha posted another photo from the same night, with her ring finger prominently on display- again. Sure, it does seem obvious that Porsha would be engaged with that diamond ring, but it wouldn’t be the first time that a celebrity has worn a big diamond ring when she wasn’t actually engaged. So we’ll just have to wait for her confirmation or denial. TELL US- DO YOU THINK PORSHA IS ENGAGED? WOULD YOU WANT TO SEE HER GET ENGAGED DURING AN EPISODE OF REAL HOUSEWIVES OF ATLANTA?